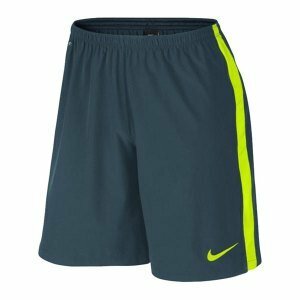 Nike Mens Dri-Fit Select Strike Woven Shorts, X-Large by NIKE at Ultra Fitness Tech. Hurry! Limited time offer. Offer valid only while supplies last. Made from polyester-elastane blend. Elasticated waist. Regular fit. Machine Washable. Made from polyester-elastane blend. Elasticated waist. Regular fit. Machine Washable. Imported.